Coffee Grinder Reviews, because to find the very best coffee grinder is a noble task. 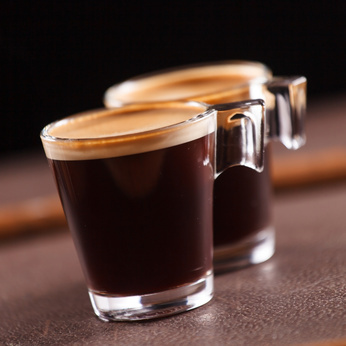 Coffee has become more and more widespread and popular in today’s culture but sometimes it’s good to just need to get back to basics. What better way to explore the humble beginnings of coffee and get the perfect brew started than to use your own coffee grinder and grind your own coffee! Our coffee grinder reviews will help you below but first let’s explore the mechanics and reasons for grinding coffee. The chart of top rated coffee grinders below will help you decide which grinder suits you best. You may be surprised to hear this but coffee doesn’t begin in a packet; it begins in coffee beans. Each coffee bean contains the delicious drink that so many of us enjoy today. With shop bought coffee, either our coffee is pre ground or instant. A good coffee grinder means that you are able to start the whole process yourself and ensure that the deliciousness stays from bean to cup. Coffee grinders come in different shapes, sizes and types; you can get manual coffee grinders or even automatic coffee grinders. Every step of making coffee is crucially important and what could be more important than the very first step; the grind itself. Simply put, your coffee grinder will take your carefully selected coffee beans and grind them into the right fineness; ready to be made into a perfect cup of coffee. Preparation is everything! Exceptional taste. Did you know that after just 15 minutes, ground coffee loses 60% of its flavor? That means that shop bought, pre ground coffee will never taste as nice as if you were to grind your own just before you make a brew! Less waste. With a coffee grinder, you can grind just what you need for one cup (or three) and not worry about freshness. Coffee beans will last longer than ground coffee so you can save money and save the environment all at the same time! Better experience. It’s a much more interesting experience to invite your friend to your kitchen to be a part of the whole process of making a cup of coffee. Expect new conversations and questions; coffee becomes a sociable and bonding experience and we’ve not even started drinking it yet! Cool factor. Whilst this may not be the overriding factor in your decision to begin grinding your own coffee; you can’t deny that it’s pretty cool! And now for our pick of the very best coffee grinder reviews in two categories; automatic and manual coffee grinders. Here are the Top 3 reviews for an easy compare. 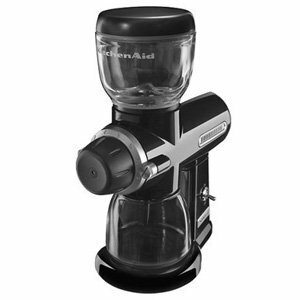 Here are our best automatic coffee grinder reviews! Keep it simple, leave the hard work behind and spend more time enjoying delicious cups of coffee with an automatic grinder. At the time of writing, this is currently one of the best selling electric coffee grinders, and for good reason! It’s compact yet has a large sized capacity for up to 12 cups of coffee. That should be enough for one morning at least. 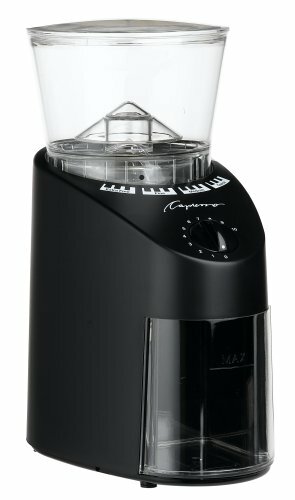 The price is comparatively low and you can even double it up as a spice grinder with its 200-watt motor. KRUPS smart and sleek design mixes classy with functional; a very nice piece of kit indeed. → Get the KRUPS F203 easy & fast on Amazon! One word comes to mind with this coffee grinder review and that is VARIETY but there is a price to pay for it with a higher cost some other electric grinders. This is perfect for coffee drinkers with a very specific idea of how they like their coffee. Expect 16 different settings of coffee ground (4 each for extra fine, fine, regular and coarse). What is nice about the Capresso Infinity Burr Grinder is that this motor is able to grind incredibly slowly which means less noise and friction to give you a maximum aroma cup of coffee, no matter the grind setting. Plus for all the coffee geeks, there’s a neat timer to set your exact grinding time. → Get the Capresso on Amazon! Not just another low cost coffee grinder; the size and price of the Epica is fantastic. Well constructed and gets the job done; this coffee grinder is easy to clean because the grinding cup is actually removable. Finally, if you like to see what’s going on; there’s a clear lid so you grind to sight too. → Get the Epica Electric Coffee Grinder on Amazon! KitchenAid are delivering an incredibly high quality automatic coffee grinder from the finest materials. If you’re looking for precision no matter the price then this is a great option for you. It’s made of nearly all metal and glass for lasting build quality; because we tend to think you can never really get tired of drinking coffee! At a larger size than it’s competitors; this is a nice piece to make your kitchen look swish and well equipped; and of course it will be. With 15 selectable grind options, you’ll be able to serve the perfect cup of coffee to home guests in no time. → Get the KitchenAid Pro on Amazon! Secura’s coffee grinder simply gets the job done. It’s made of stainless steel which in our opinion looks pretty tidy and minimalist. It’s small, quiet and compact and is the perfect addition to your kitchen. It doubles up as a spice grinder if you’re into that kind of thing but we are attracted by it’s no nonsense, simply and easy grinding at a decent price. It’s the little touches like the safety lock and a cord wrap base that finish this automatic coffee grinder off nicely. There is no ability to customize the grind setting which could be a turn off for some but for us it adds to the minimalist charm and adds an element of creativity into the coffee making process. → Get the Secura Electric Coffee Grinder on Amazon! Here are our best manual coffee grinder reviews! Manual grinders are all about the experience of making coffee. We have to admit; it is pretty fun and you can take them with you to work or even out and about easily. For the more traditional coffee drinker. This beautifully old school manual coffee grinder is made out of ceramic. Now that is pretty cool! It is from Japan but that kind of adds to the charm. We’ve got the ability to customize our grind by simply turning a knob but best of all, you can take it with you wherever you go. Fancy a coffee out and about? Here’s your solution. We’re looking at a pretty inexpensive product and the great thing about manual coffee grinders is that there’s very little need to ever replace anything. Think expensive motors etc. 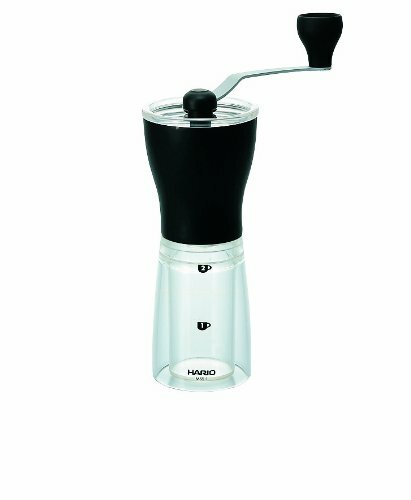 We are back to basics with Hario’s coffee grinder. You will have to spend a little more time and grinding of course but that’s part of the charm and your reward will be a delightful cup of coffee at the end of the process. → Get the Hario Coffee Mill on Amazon! 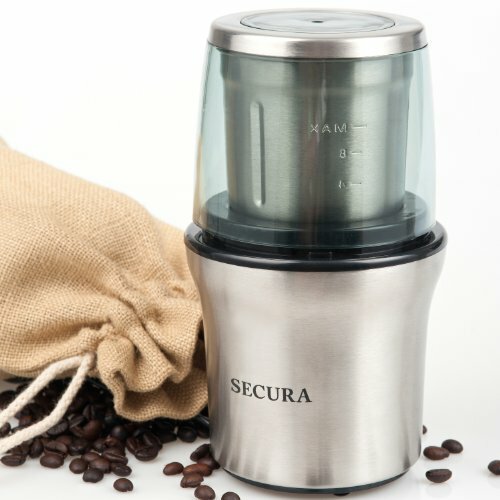 This manual coffee grinder is an excellent product for those looking for coffee on the go. Customizable grinding settings are easily tweaked and the price isn’t bad either. 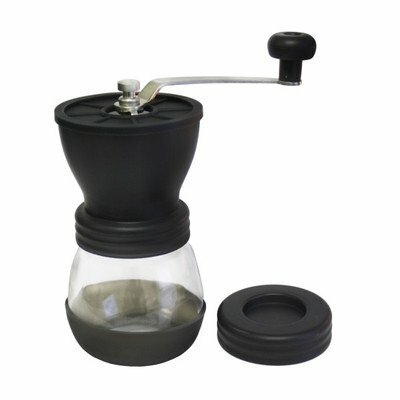 What’s nice with this manual grinder is that it comes with a glass storage container. It’s nice to see where you’re up to, especially as you have to extend a little more effort than an automatic coffee grinder. This version also includes a hopper lid which stops any beans jumping out as you’re grinding. This grinder is a little heavier than other manual grinders but maybe it’s not such a bad thing as it’s well built and would work well as a home grinder. → Get the Kuissential Manual Ceramic on Amazon!